Now that April is here, it is time to celebrate one of our region&apos;s most important industries with B.C. Wine Month. This month is focused on promoting B.C. wine through in-store tastings, exciting contests, fun events, and more. It is also a chance to highlight the positive impact the wine industry has on our communities and to acknowledge the hard work of those who make it all possible. The events planned to celebrate B.C. Wine Month include a two-part seminar on the History of Wine at Okanagan College - Penticton (April 12 and 26) and the province-wide Taste of B.C. event at all Save-On-Foods (April 20). There are also several giveaways planned, including the grand prize of a wine country getaway to the Okanagan Valley for the 2nd Annual Chef Meets BC Grape festival. To learn more about these events and giveaways, click here. If your winery or business is hosting an event for B.C. Wine Month, be sure to add it to the Wines of British Columbia events calendar and to the Tourism Kelowna events calendar. 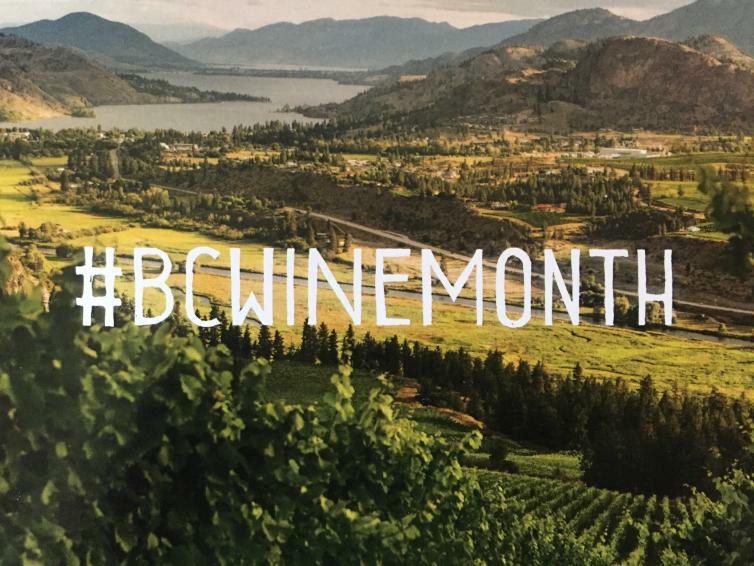 You can promote events through social media using #BCWineMonth. 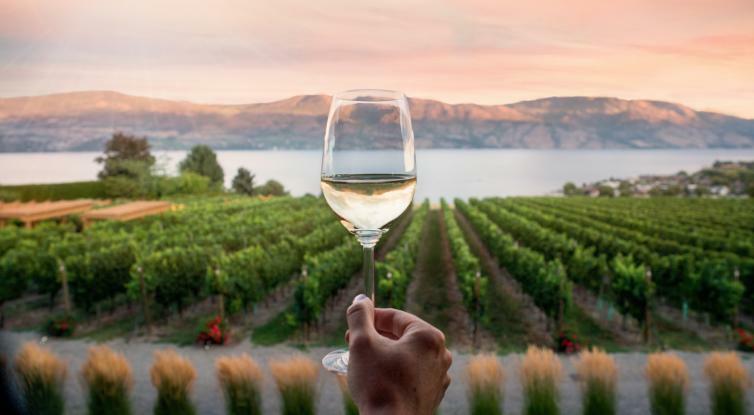 Be sure to add #exploreKelowna to your posts to connect with Tourism Kelowna, as our team will be sharing wine-related content on social media throughout the month. Further to the social media efforts, our team will continue distributing our Wine Trails 2018 brochures to stakeholders and businesses throughout the Central Okanagan. 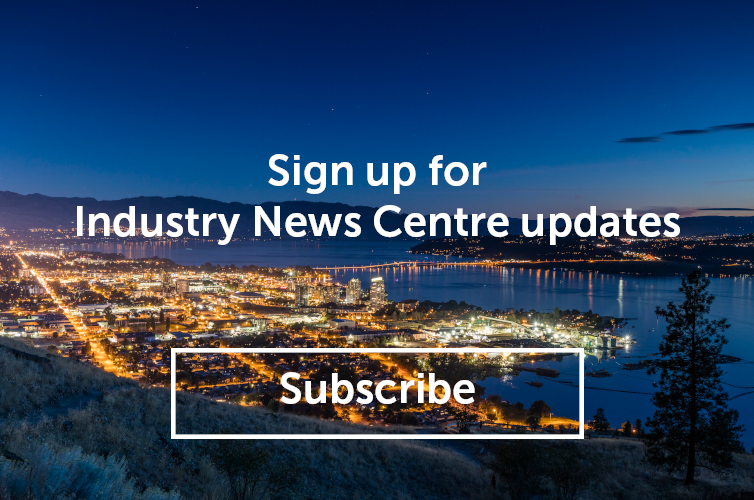 The guide is also being distributed throughout the Okanagan Valley, British Columbia, and Alberta through partner distributors and mail-outs. Additionally, the Wine Trails program will be promoted through an 8-page spread in the April edition of Edible Vancouver & Wine Country magazine, which is distributed to a variety of locations throughout the region. If you want to learn more about the Wine Trails Program, click here. Alternatively, you can contact our Marketing Programs & Research Co-ordinator, Sara Correa, at (250) 861-1515 ext. 218 or at sara@tourismkelowna.com. Increased opportunities to have B.C. wines in local BC Liquor Stores, including local wines from small and medium producers that are not typically available outside of the wineries. Promotion throughout the month with storefront displays. A greater variety of in-store tastings of B.C. wines. Funding for an expansion of the Buy BC: Eat Drink Local campaign, to further develop partnerships between the BC Wine Institute and the British Columbia Restaurant and Food Services Association. Funding to support the marketing of BC VQA wines to new international markets. In March, Tourism, Arts, and Culture Minister, Lisa Beare, announced that the provincial government would also be launching a new $150,000 campaign to promote wine and food tourism. Additionally, the minister announced the creation of the Minister’s Tourism Engagement Council. Click here to read the full news release regarding B.C. Wine Month. Kelowna is the birthplace of the B.C. wine industry, and with over 40 wineries within Kelowna and surrounding communities, the wine industry is an important contributor to our local economy, jobs, and our quality of life. Winery visits and tours are a key reason why 1.9 million visitors, many of them from Alberta, come to Kelowna and the Okanagan Valley annually. Local wineries, their employees, suppliers, and vendors have worked hard for generations to provide fine Canadian wine to national and international visitors.